Government; pressure groups and formal/informal associations and their role in the Polity. No syllabus has been specified for the essay paper. You are recommended to read Newspapers, Magazines and general studies books with an eye on currently relevant issues. Regularly read editorials on ExamPariksha.com, The Hindu and IndianExpress. Translation from English to the Indian language or vice‐versa. 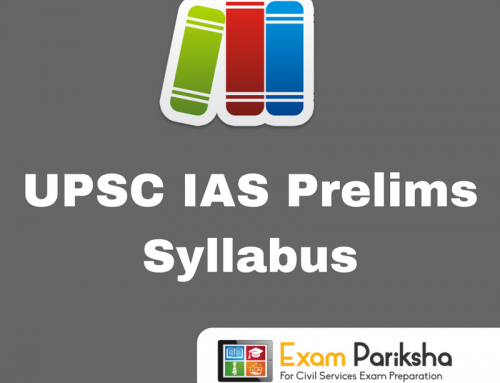 You can download UPSC civil services Mains exam syllabus PDF for general studies and essay paper, just initiate “Print” command on your device then save the file in pdf format and keep it with you for future reference. Aspirants are advised to prepare for the Mains exam with reference to the topics specified in the upsc mains syllabus 2018.